This is a pattern with loads of options. 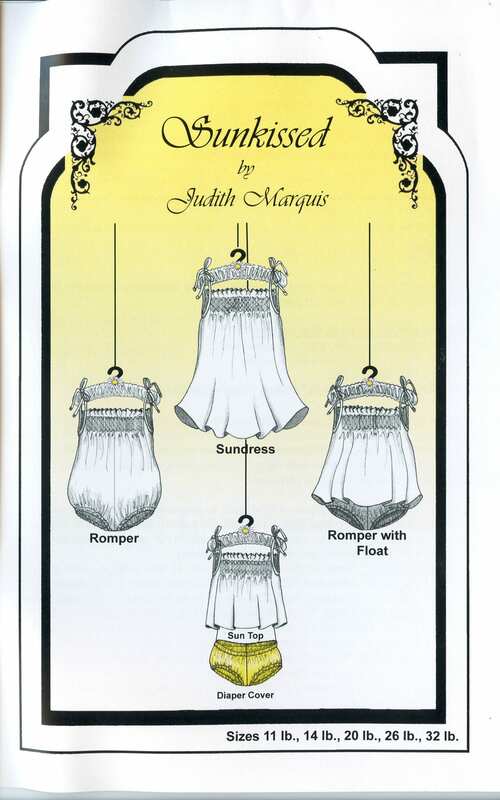 It started out as a simple little sundress but evolved into a romper and then a romper with a "float" which became a sun top and the bottom of the romper turned into a diaper cover. Have some fun. Turn the sundress into a pinafore or jumper with the addition of a T-shirt or sweater to take it into a year-long garment. 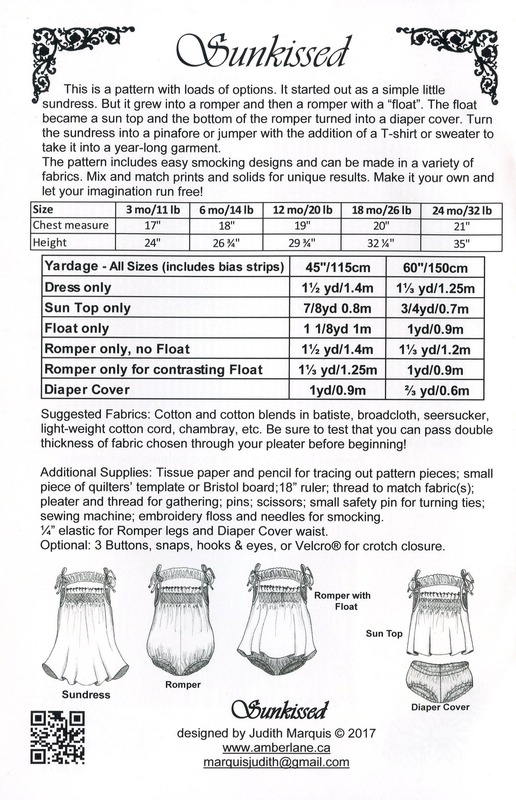 The pattern includes easy smocking designs and can be made in a variety of fabrics. Mix and match prints and solids for unique results.